Looking for a pickup truck for your commercial needs but the budget is a bit tight. Don't worry, in this post, we have 5 best used pickup trucks for you. We have included both used full-size and compact truck in this list so that you choose the best one according to your needs. 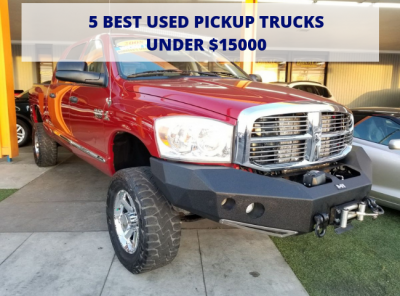 All the trucks are within the market price of $15,000 so that it won’t break the bank. The trucks on this list are propelled on the basis of safety, reliability, cost of ownership and performance. 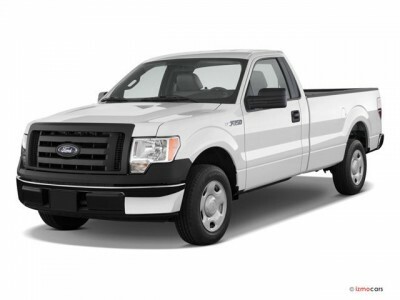 Ford F-150 is a full-size pickup truck and has many similarities with the Ford F-250 Super Duty. In general, it has same features as that of the Ford F-250 Super Duty. It has engines available in 4.6 L V8, 5.4 L V8 with towing capacity of 5,100 to 11,300 lbs. The available transmission is of 4 & 6-speed. This car has been able to achieve high ratings for its strong engine, refined interior, and safety scores. It ranked #1 in 2009 full-size pickup trucks according to research and rating of Cars. Us News & World Report and had an overall score of 8.8 out of 10. The average price is $6,971 - $15,097 and you can easily find a good deal around $10,000. 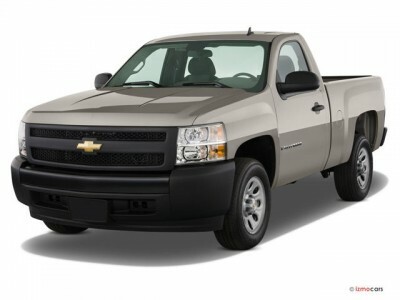 It is almost impossible to find a bad review of the 2008 Chevrolet Silverado 1500. The combination of its ruggedness and refinement makes its one of the best full-size pickup truck. And it is these features which makes it better than the previous-generation Chevy and GMC trucks and the same-vintage Ford F-150. "There are no bad full-size pickups now, but the Silverado quietly excels in every area," says Car and Driver, adding, "Let's just agree that a perfect truck is hard to find, and we'll drive the Silverado till we find it." Some features like fully boxed frame, coil-over-shock front suspension, and rack-and-pinion steering results in a comfortable and fully maneuverable vehicle. After its 2007 resign, this car many awards including recognitions such as Car and Driver's "Best Pickup," Motor Trend's "Truck of the Year," and Motor Week's "Driver's Choice. Power delivery is also more than enough, especially in the 6.0-liter V8. The 2008 model still offers a wide range of engines, trim levels, bed lengths, suspension configurations and other options. It is available with two-wheel or four-wheel drive; with a short, standard or long bed; with a regular, crew or extended cab, and in Work Truck, LT and LTZ trim levels. It’s starting fair purchase price is $8,211 according to Kelly Blue Book and it’s users boast about its capability and comfort. The 2008 Dodge Ram is another full-size truck with wide range of features and options. Just like Silverado 1500, it too offers a staggering number of engine choices, body style options and available transmissions. Again like Silverado, it is available in 2- or 4-wheel drive. However, it’s bold and muscular styling is something which gives it an edge over its full-size rivals like Chevy, GMC and Ford. This Ram is a combination of power and comfort. It has Hemi V-8 which delivers 345 horsepower and 375 pound-feet of peak torque, and the five-speed automatic provides smooth power delivery at any reasonable speed. The HEMI V8 gives it up to 8,550 lbs of towing capacity if configured properly. The intelligently designed interiors add to the comfort. Its starting Fair Purchase Price is $7,396 according to KBB. 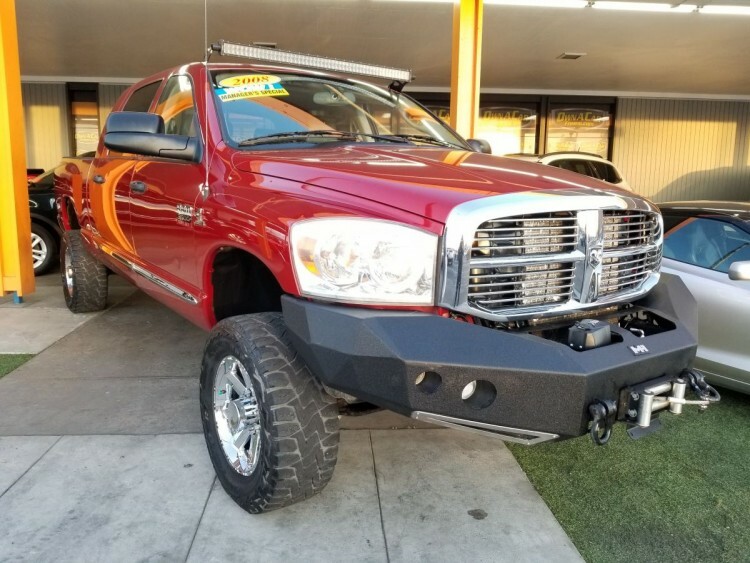 However, we found most of the 2008 Dodge Ram for sale on Car Gurus for around $11,000-$13,000. The condition of the vehicle and your budget would determine the right deal for you. 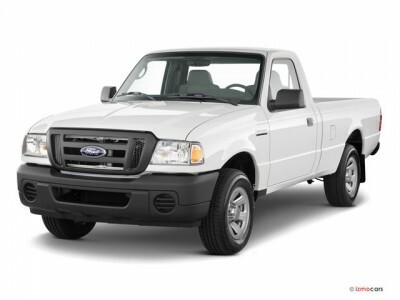 The 2010 Ford Ranger offers good handling and ruggedness like its full-size brother, Ford F-150 but it is more compact and handier in size. It has a powerful 4.0 L V6 engine with a 2.3 L 4-cylinder. It offers 5-speed automatic and 5-speed manual transmission. Although not the most powerful in class but the strong V6 engine provides it a towing capacity of 1,600 to 3,100 lbs. The Safety and interior rating are not very high but it offers a comfortable ride and smooth handling. Available at starting fair price of $8,764 according to KBB, it is not a bad deal for anyone looking for a mid-size pickup truck on budget. This is another popular vehicle in the used pickup truck market. It is a mid-size pickup truck. It has an overall scorecard of 7.7 according to the rating and research of Cars US News. KBB has a rating of #3 mainly because of its dependability. It offers three engine options, including a 185-horsepower four-cylinder, a five-cylinder, and a V8 making 300 horsepower. 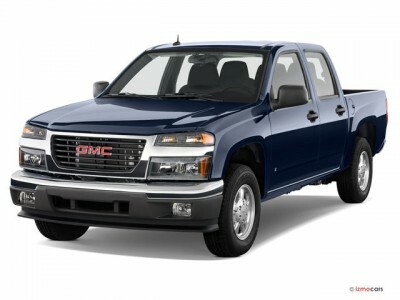 The 2010 Canyon is available in single cab, extended cab, and crew cab body styles. Although, it doesn’t score very well for safety and interiors, it’s known for its comfortable ride and affordability. The Average price paid is $6,521 - $13,084 according to Cars. US News. And you can easily find cars in fair to good conditions for around $8,000-$10,000. Those were the 5 best used cars you can buy on a tight budget. We have included both mid-size and full-size trucks in the list. You can choose any according to your requirement. Almost all these models are available with us. You can call or text us to enquire about these used trucks.